xoxo, Jen: Awesome Sauce Box: Are you a hero or a villain? Awesome Sauce Box: Are you a hero or a villain? Are you a hero or a villain? is the theme for the Awesome Sauce Box this round and I'm happy to be able to review it for you! 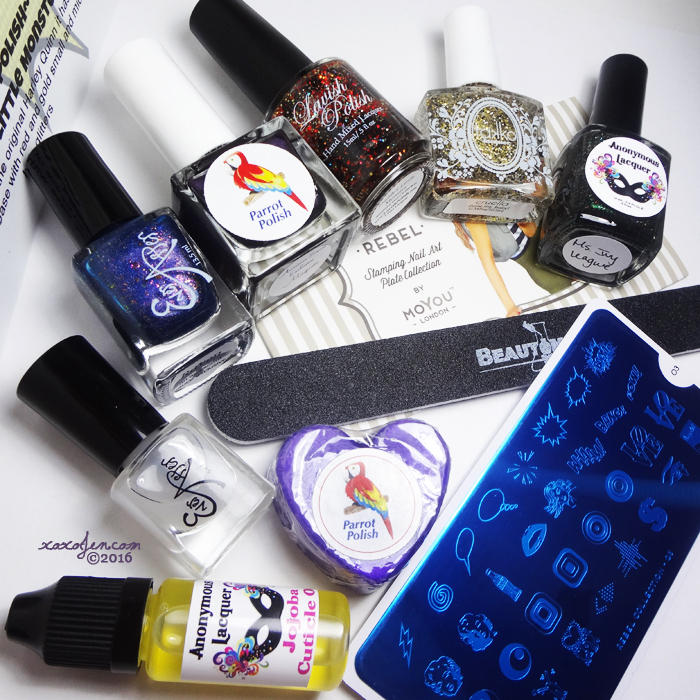 The box comes with five polishes, a matte topcoat mini from Ever After, a cuticle oil from Anonymous Lacquer, heart shaped soap from Parrot Polish, and a Moyou London stamping plate and nail file from Beautometry. I used a China Glaze star magnet over this and while I can see the design in person, it did not translate on camera very well. 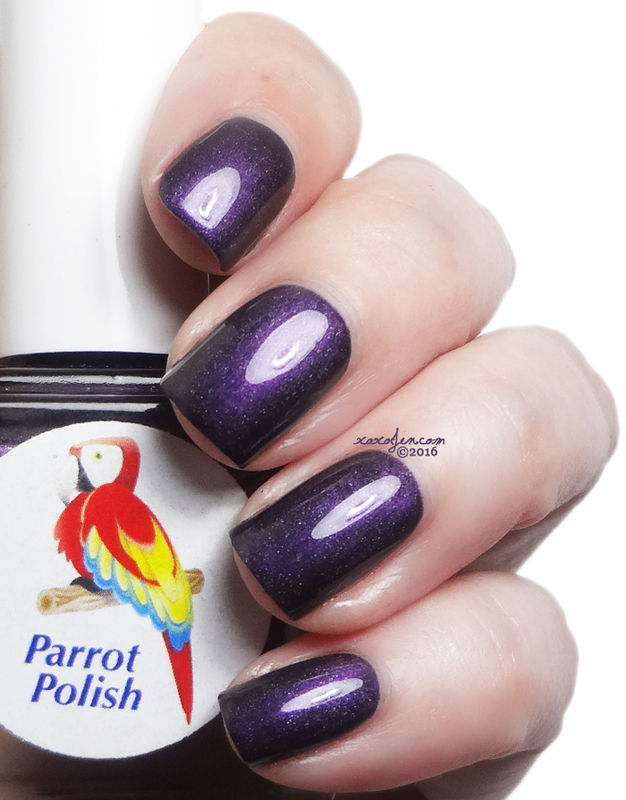 The polish dries fairly quick, so take care to magnetize after each nail. Formula was smooth and easy to apply, though I think the brushes are slightly long for the bottle, mine was bowed a wee bit. 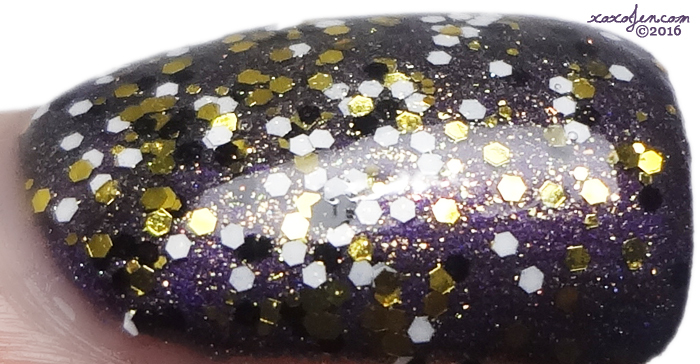 A fairly smooth glitter topper, I wore one coat over Magneto. 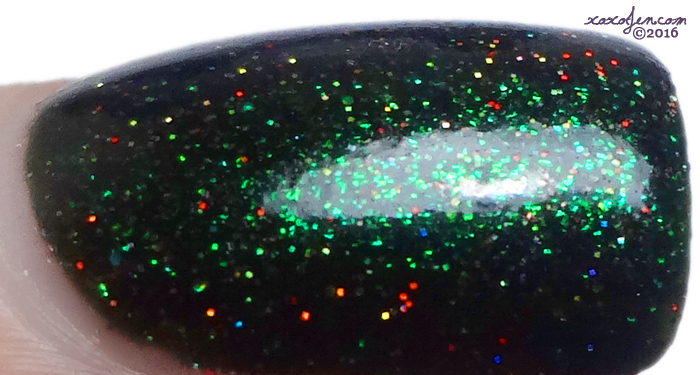 Inspired by Poison ivy this is a deep green scattered holo w/ red micro holo glitter. Also featuring a Jojoba Cuticle oil with cucucmber melon, jojoba oil, grapeseed oil, coconut oil and fragrance. Such a beautiful deep murky green shade that glows kelly green when light hits it. I wore two easy coats. 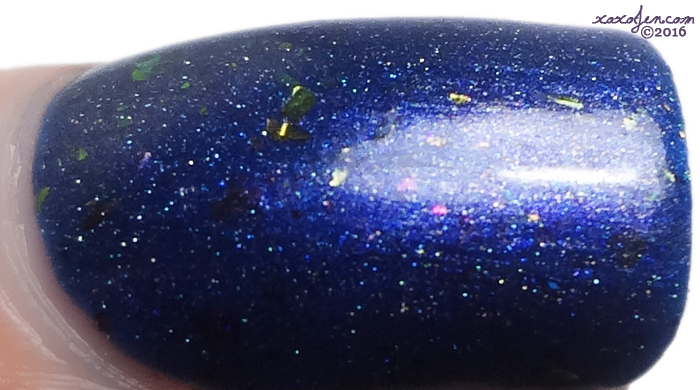 Inspired by Mystique this polish is a deep blue with multi color shifting flakes and loaded with sparkle it pairs well wit he included matter top coat. 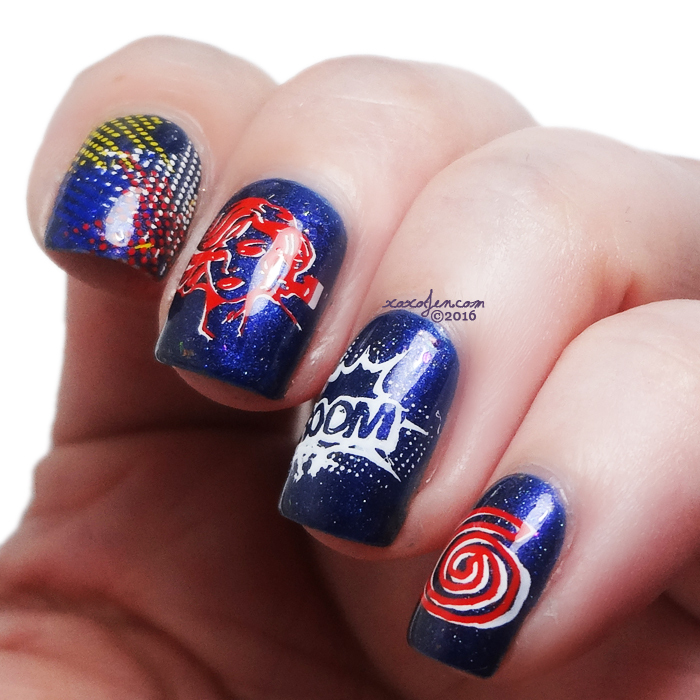 Great formula and smooth flakies! I wore two coats for photos. 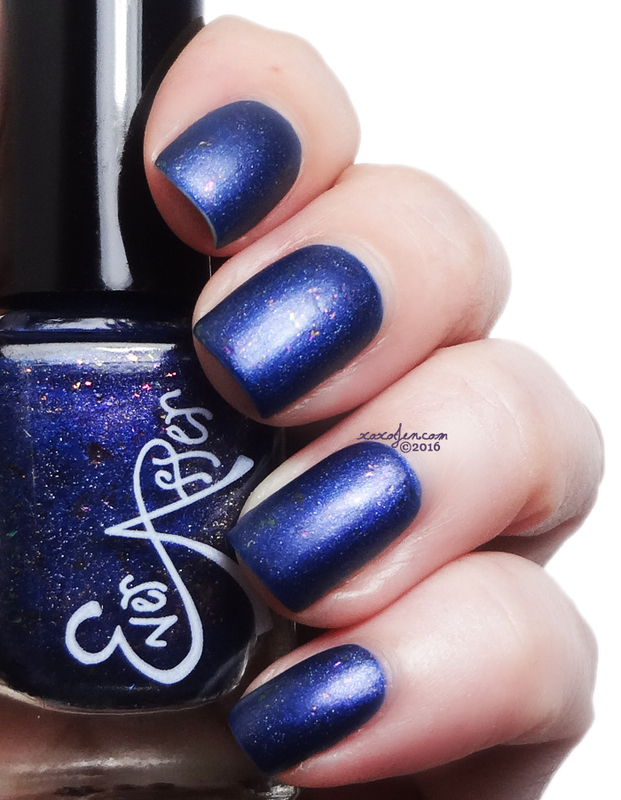 And with Matte Top Coat! 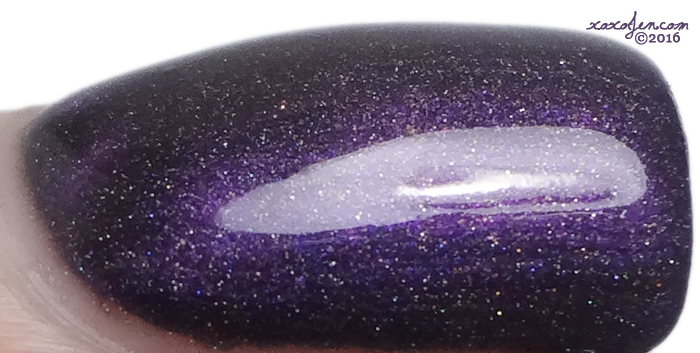 A squishy jelly with subtle glitter showing through. Smooth easy formula, I wore two coats. 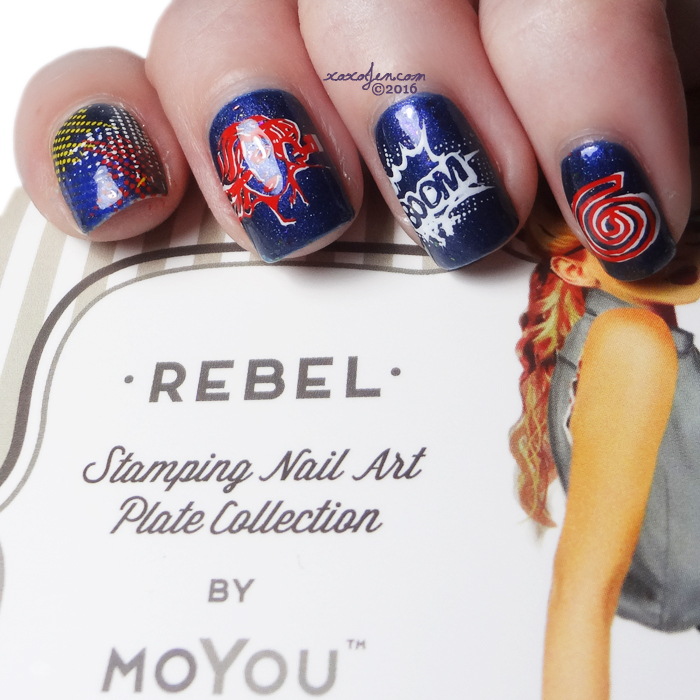 Nail Art! I received plate 03 and this is what I created with it. I hope you've enjoyed my review! These boxes are available for pre-order right now at the Awesome Sauce Shop! Nice mix of colors in this box. 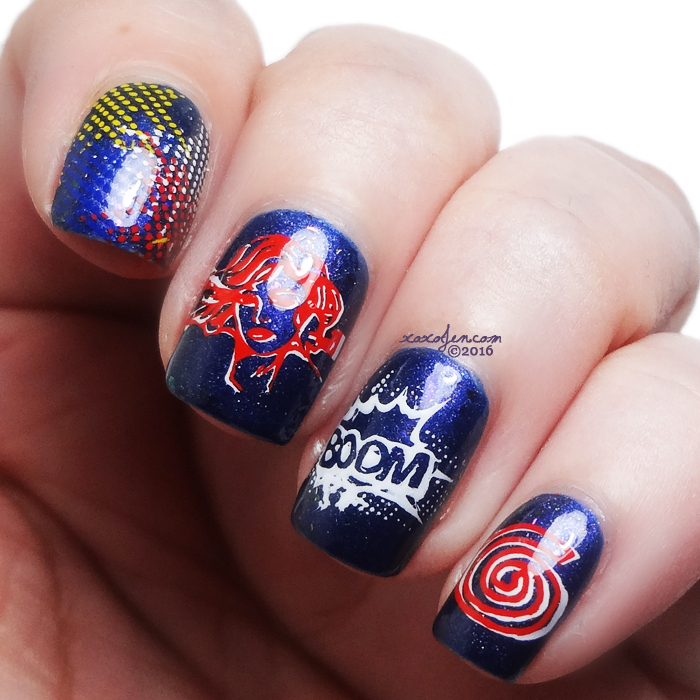 Love the nail art you created too. Woooh this box has been very well curated, even the plate is themed!!! Thank you! I agree, the box was very well planned and themed!